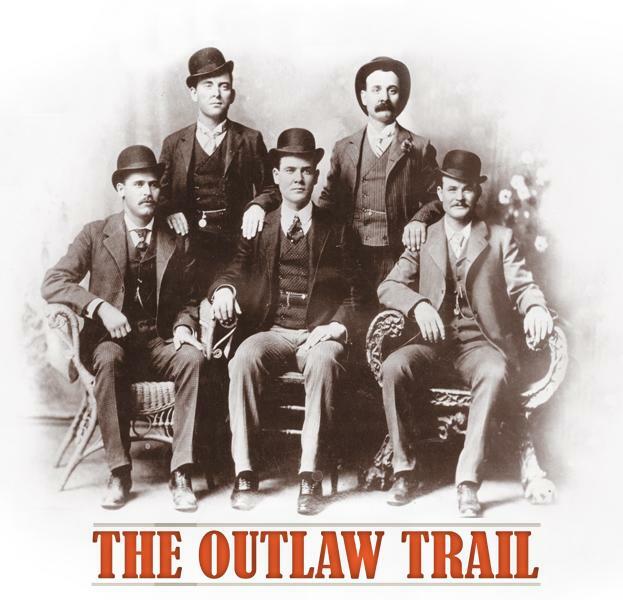 The Outlaw Trail Travelers can track the Old West’s most notorious legends. The two riders pounded the trails and roads of eastern Utah on that late April afternoon in 1897. They kept up a quick pace—had to, since they were being trailed by a bunch of guys armed with guns and questions. The posse wouldn’t get the answers they were looking for; outlaws Butch Cassidy and Elzy Lay made sure of that. They had fresh mounts and provisions already stashed at locations on the trail. Butch and Elzy were headed about 120 miles southwest, to the elevated plateau called Robber’s Roost, an outlaw hideout where they and their nearly $9,000 take would be safe from the law. The boys had just traveled part of the Outlaw Trail. It was a trail they knew well, having ridden it countless times over the years. The West was—and is, to a large extent—filled with the trails followed by the pioneers, settlers, bandits and lawmen of old. And it’s still possible to visit many of those places, to see what those guys saw, to experience what they experienced (hopefully without the running gunfights). And there are some pretty neat museums and other institutions to check out as well. Let’s mount up and hit the trails. The Outlaw Trail wasn’t really one specific trail, but a series of hideouts that ran from Montana through Wyoming, Colorado, Utah, New Mexico, Arizona, Texas and even into Mexico. 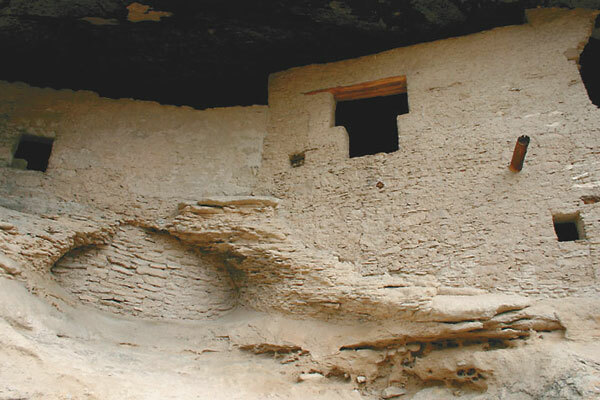 The best-known hideouts included the aforementioned Robber’s Roost in southeast Utah. Then there was Brown’s Hole/Park, a tough Colorado canyon area near the Wyoming and Utah borders. 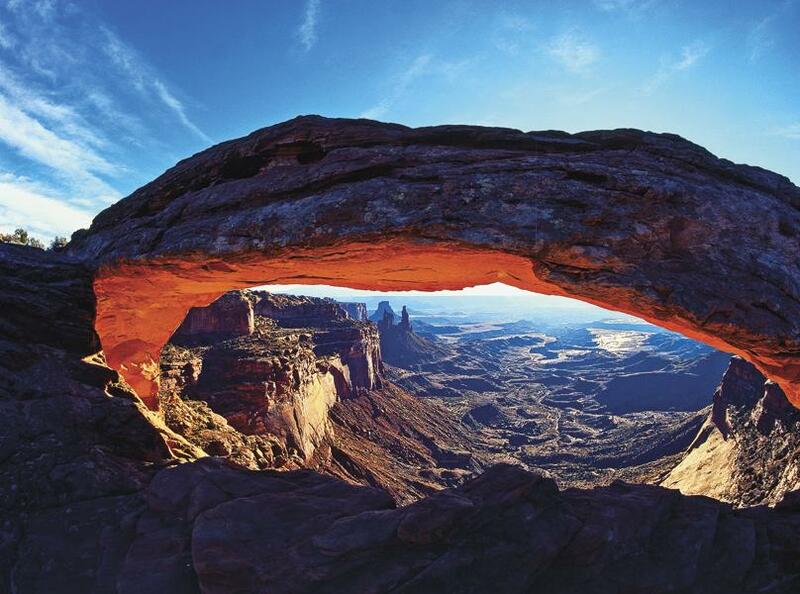 But perhaps the best known was Hole-In-The-Wall, the Wyoming valley surrounded by imposing rock formations and few entrances. 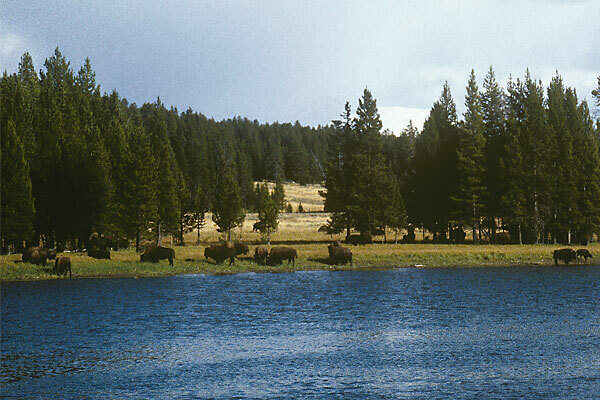 The three areas have been set aside by the federal government, protecting them from development. So with some effort, you can still see them as the Wild Bunch did. And Castle Gate? Where Butch and Elzy pulled the robbery? It’s a ghost town, abandoned more than 40 years ago. When in northeast Wyoming, check out the town of Buffalo (the Wild Bunch did on many occasions), about 70 miles north of Hole-In-The-Wall. The Jim Gatchell Museum has much on the local and infamous Johnson. 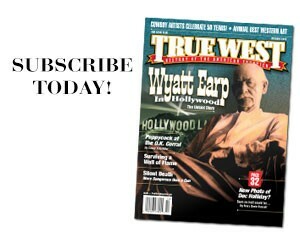 Wild Bill Hickok’s story and legend ended in Deadwood in 1876. But the whole thing got started 15 years before and 580 miles to the southeast. It was at a place called Rock Creek Station, a stop-off on the Oregon Trail and Pony Express/Overland Stage route. 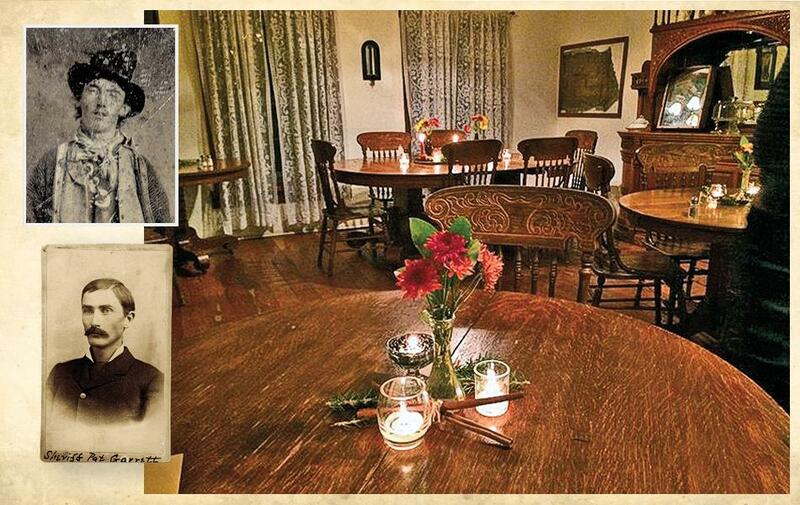 Wild Bill was working there in the late afternoon of July 12, 1861, when the former owner of the property showed up. David McCanles was ticked because the new owners were behind on their payments. Just exactly what happened is unclear. But tempers got out of hand; McCanles and two of his men were killed. It was Hickok’s first brush with notoriety but certainly not the last, with the finale at that saloon card table at the appropriately named Deadwood. One of the great ironies of the gunfight near the O.K. Corral is that the Earps and the McLaurys spent their formative years in Iowa (although about 100 miles apart). In November 1873, 24-year-old Frank McLaury—still living at home in Buchanan County—got into a fight with a neighbor and was charged with assault and battery. Frank was found guilty and did 30 days in jail. When he got out, Frank and younger brother Tom headed southwest. After a stopover in Texas, the brothers ended up in Arizona. That didn’t work out so well. 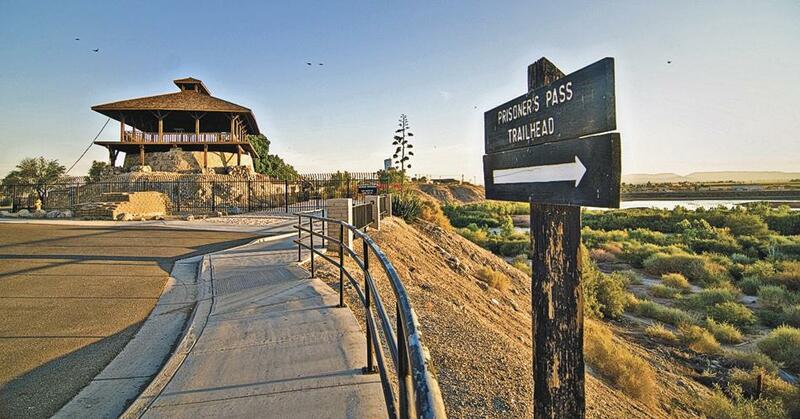 Billy the Kid’s last journey started in the early evening of April 28, 1881. That was when he killed two of his jailers and escaped from the Lincoln County Jail—he wasn’t too eager to be hanged for murdering a Lincoln County sheriff and deputy. He headed for familiar ground, Fort Sumner, about 90 miles northeast (by the current highways, about 140 miles), where he had many friends. 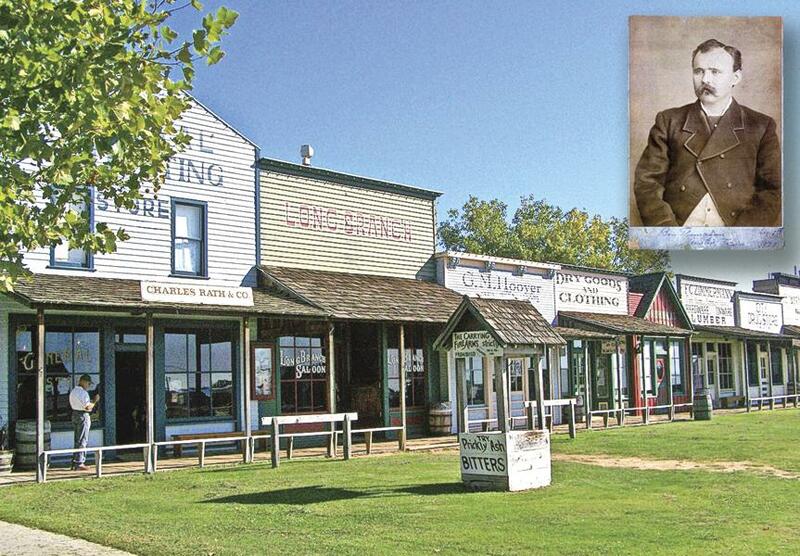 In mid-July, Sheriff Pat Garrett and two deputies made their way to Fort Sumner. The final act, in the bedroom of Pete Maxwell, was something of an accident. Billy and Garrett never expected to run into each other there. And Garrett initially wasn’t sure it was the Kid who’d taken the fatal bullet. Garrett left the place in triumph. Billy stayed forever. Both became legends. Jessie Evans was a hard case who fought against Billy the Kid and the Regulators in the Lincoln County War and managed to put a few notches on his pistol. When that conflict ended, he moved his operations into Texas. In-mid May 1880, the Evans Gang hit several places around Fort Davis. They escaped northeast about 90 miles to Fort Stockton, but the law followed and they headed about 100 miles southwest to Presidio Del Norte, just across the Rio Grande. The Texas Rangers followed. The lawmen ran into the fugitives about 19 miles northeast of Presidio del Norte on July 3. A running gun battle started, leaving one dead and one wounded on each side before Evans and company surrendered. By the way, for all his misdeeds, Jessie Evans spent 18 months in prison before escaping and disappearing from history. September 1, 1893. 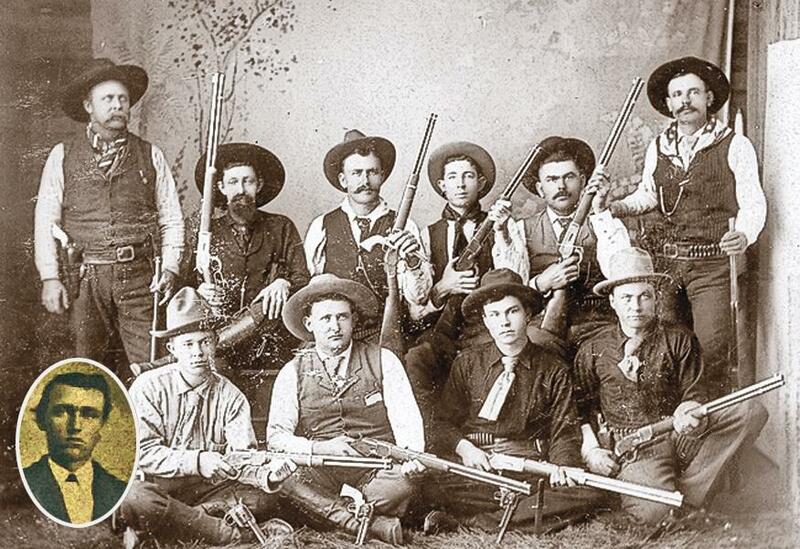 A 14-man posse tried to sneak up on the Bill Doolin Gang in Ingalls, about 10 miles east of Stillwater, Oklahoma. It went bad; three officers were killed and almost the entire gang escaped. But the heat was on. Over the next three years, several of the outlaws bit the dust. Doolin was captured in Arkansas and jailed in the territorial capital, Guthrie, in January 1896, but he broke out that July and made his way to the town of Lawson—now called Quay—about 55 miles northwest. The law went after him. Deputy Marshal Heck Thomas and nine men ambushed Doolin near his father-in-law’s house, leaving him dead in the road. Ingalls is basically a ghost town, with the remains of a few of the old buildings still standing. You can pretty much imagine the Doolins shooting it out with the law. Between the middle of 1875 and the fall of 1883, Charles E. Boles—calling him-self Black Bart in a poem he left at one holdup site—pulled more than two dozen stagecoach jobs, all in northern California and southern Oregon. He favored the rugged Siskiyou Trail (now I-5), which covered the mountainous region between Portland and San Francisco. Witnesses called him dignified, with a booming voice and polite manner. He was always on foot. And what his victims didn’t know—his shotgun was always empty. In November 1883, Bart dropped a handkerchief at a robbery outside Copperopolis, California. The hankie had a laundry mark on it which detectives traced back to San Francisco. They caught Boles, who pleaded guilty to just the last stickup. He did four years at San Quentin and then disappeared. But the legend of the greatest stage robber in U.S. history remains. Chris Evans and John Sontag made a rep for robbing trains in central California between 1889 and 1892. In August 1892 railroad detective Will Smith and Tulare County Deputy Sheriff George Witty searched Evans’ Visalia home (around 190 miles north of L.A.), looking for evidence of a train stickup. Evans and Sontag, both armed, confronted the pair. The lawmen ran; the outlaws opened fire. Both Smith and Witty were hurt before the shooting ended. Evans and Sontag managed to stay away from the law for about 10 months. 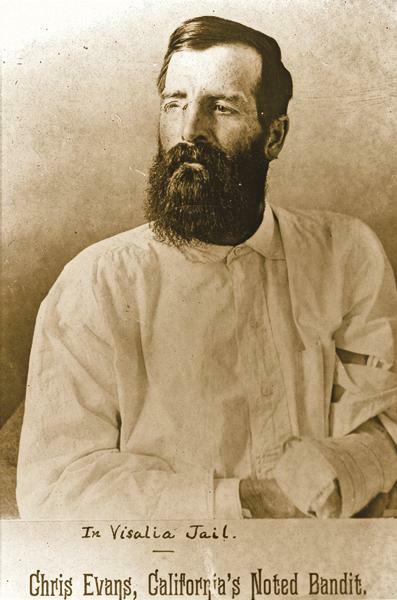 Sontag was fatally wounded in a shootout on June 11, 1893; Evans lost an eye and an arm before being captured. Chris Evans spent 17 years at Folsom Prison, about 20 miles northeast of Sacramento. Gila County (AZ) Sheriff Glenn Reynolds and a deputy were taking nine prisoners from the Globe area to Yuma Prison, about 260 miles away. It was a tough task, made tougher by one of the convicts—the wiley Apache Kid. The journey to justice began via stagecoach on November 1, 1889. The captives got out to walk at a steep section of road. They took advantage of that and attacked the guards. Reynolds and the deputy were shot to death. 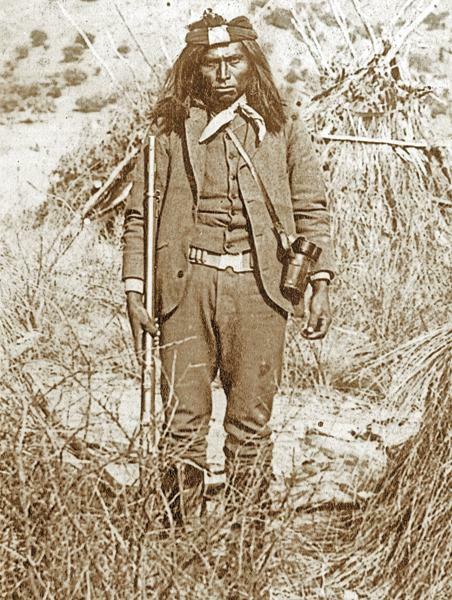 All of the Apaches were captured or killed in short order except the Apache Kid, who continued his one-man war against authorities, whites and Mexicans throughout the region. He supposedly was killed in Mexico in 1890. Abilene and Dodge City, Kansas. Separated by about 185 miles; forever linked by Texas cattle drives and the men who hit those towns. Among those were the British-born Thompson brothers, Ben and Billy, gamblers by profession and gun handlers by practice. They started off in Abilene. 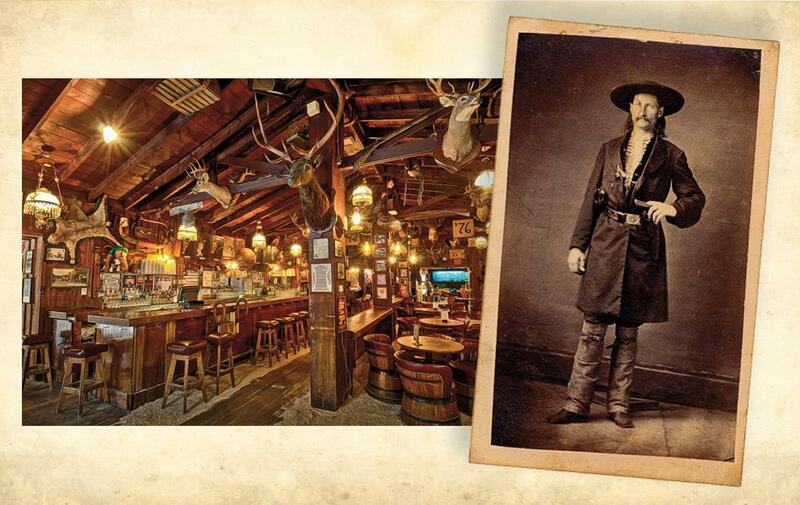 The Thompsons partly owned and ran a watering hole known as the Bull’s Head; it was outside that establishment where Marshal Wild Bill Hickok did his last two killings in 1871. Following some interludes in other Kansas and Texas burgs, the brothers hit Dodge City in 1877, looking to make easy money at the tables. At one point, Ben playfully threatened to shoot entertainer Eddie Foy; Bat Masterson took his gun away before anything bad happened. The cowtowns slowed down after that. The Thompsons relocated to Texas, where Ben was murdered in 1884 and Billy died in bed 13 years later. The James-Younger Gang, based mostly in northwest Missouri (modern suburban Kansas City, Missouri), ventured to various locales to acquire cash. 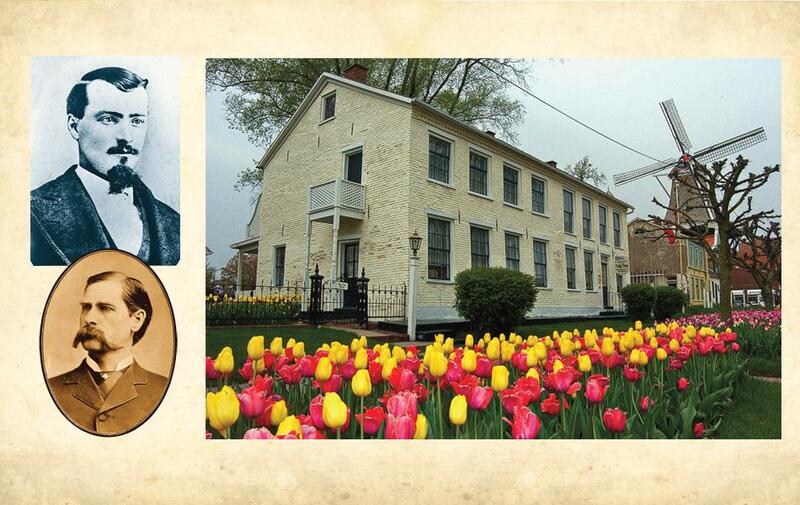 In September 1876 they traveled 400 miles northward, to Northfield, Minnesota, 45 miles south of Minneapolis. It’s not exactly clear why they went up there. 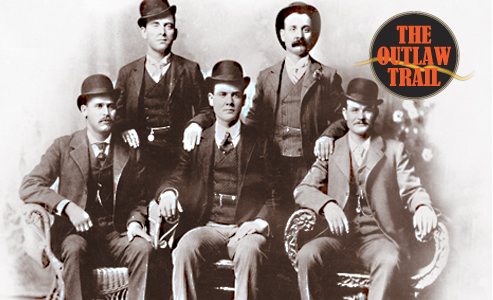 The outlaws probably thought the First National Bank would be an easy job. Oops. Townsmen fought back hard and then chased the outlaws through the countryside. Only Jesse and Frank James managed to get back home to Missouri. Three of the outlaws were killed, and the Younger brothers did time at state pen. Jesse and Frank never did really recapture the days of glory (unless you want to count Jesse’s death in 1882 as glorious). John Wesley Hardin got a relatively innocent start in 1853, born outside of Bonham, Texas, about 70 miles northeast of Dallas. It probably was the last innocent time of his life. Over the next 21 years, he may have killed 40 men. Wes was finally captured and jailed in 1877. And after he got out, he made his way to El Paso. Hardin went bad, again, and ticked off folks. At the top of the list—a constable and hard case named John Selman. Old John gunned Hardin down from behind in the Acme Saloon on August 19, 1895. El Paso was 700 miles and much violence away from Bonham. 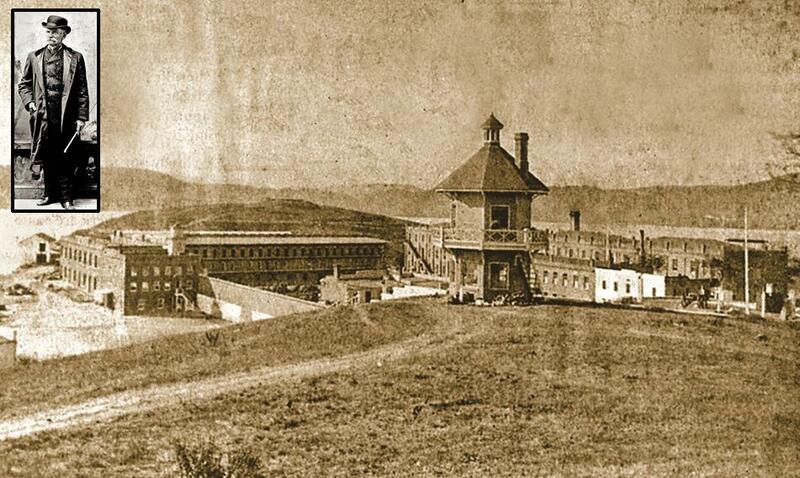 Black Bart (inset right) may have been a dapper outlaw, but even gentlemen go to prison and San Quentin (far right) became his home from 1883 until 1888. 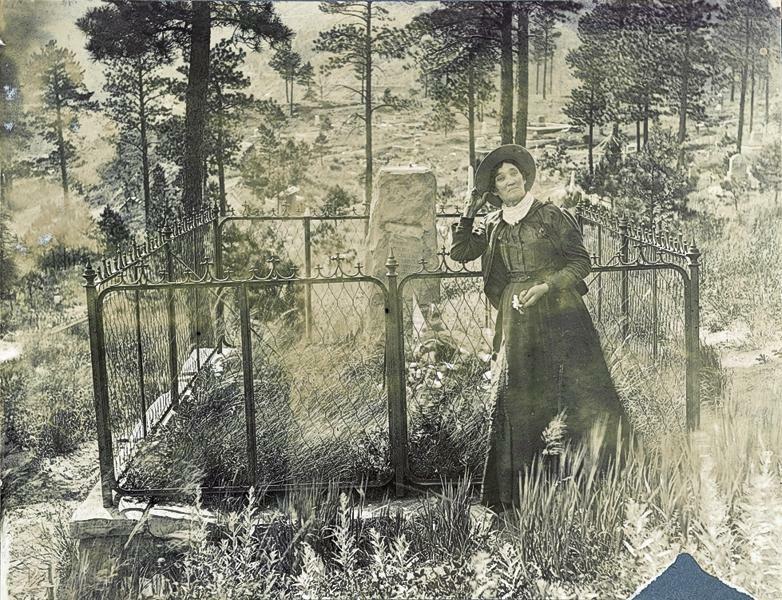 Calamity Jane famously posed in 1903 next to the grave of her friend Wild Bill Hickok on Mt. Moriah above Deadwood, South Dakota. 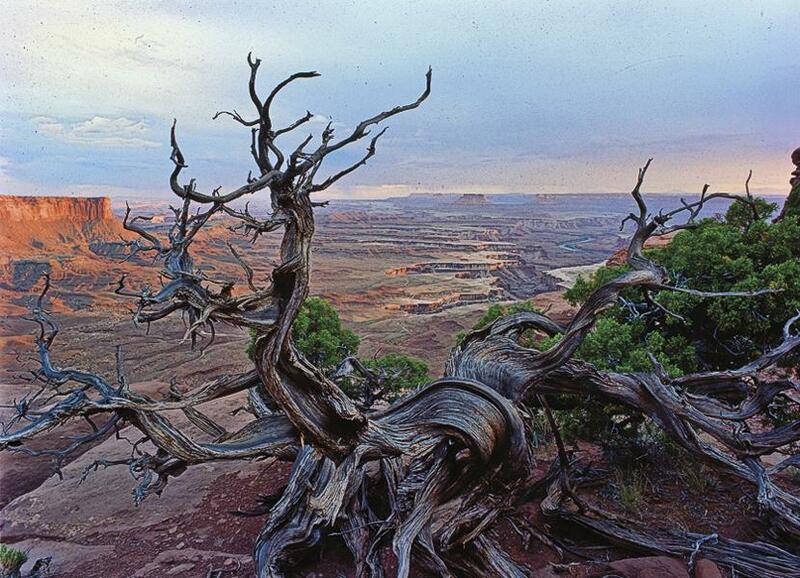 The Wild Bunch’s outlaw trail to their Robber’s Roost hideout runs just west of the endless maze of badlands of Canyonlands National Park, between Hanksville and Moab, Utah (above). Former soldier and scout Chris Evans sought a new life as a California miner. He later traded his shovel and pick for an outlaw’s mask and gun. Texan John Wesley Hardin (above, left) started his outlaw trail of killing at the age of 15 outside Moscow, Texas, in 1868. Even after 16 years of prison, he didn’t stop until Constable John Selman (above, right) put a bullet in the killer’s head on August 19, 1895. 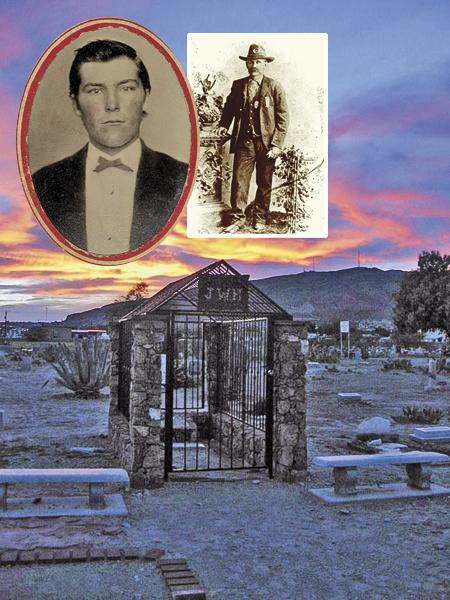 Ironically, Selman’s grave is very close to Hardin’s (above) in El Paso’s Concordia Cemetery. While best known for the deadly gunfight in Tombstone, Wyatt Earp (bottom left) and Frank McLaury (top left) both grew up on Iowa farms, situated about a two-days’ ride from each other. The Earp family home (above), where Morgan, Warren and Adelia were born, celebrates Wyatt’s childhood in the Dutch settlement. 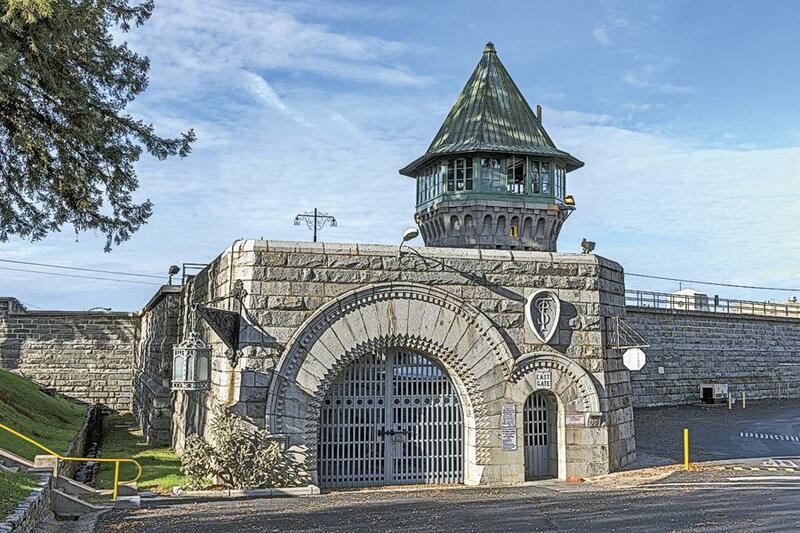 Today, tourists can tour the Folsom Prison Museum, but for outlaw Chris Evans,17 years behind an iron door in a four-foot by eight-foot stone cell was no vacation. 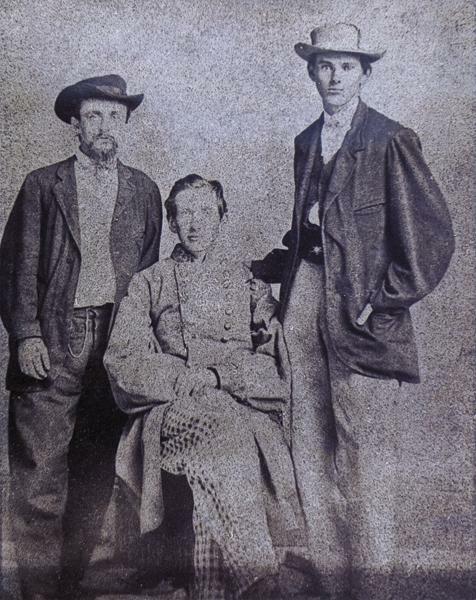 Fletch Taylor (left) did not accompany Frank (seated) and Jesse James on the James-Younger Gang’s gamble to ride from Missouri to rob the First National Bank (next slide) in Northfield, Minnesota. The caper led to a legendary shootout and manhunt that destroyed the gang. 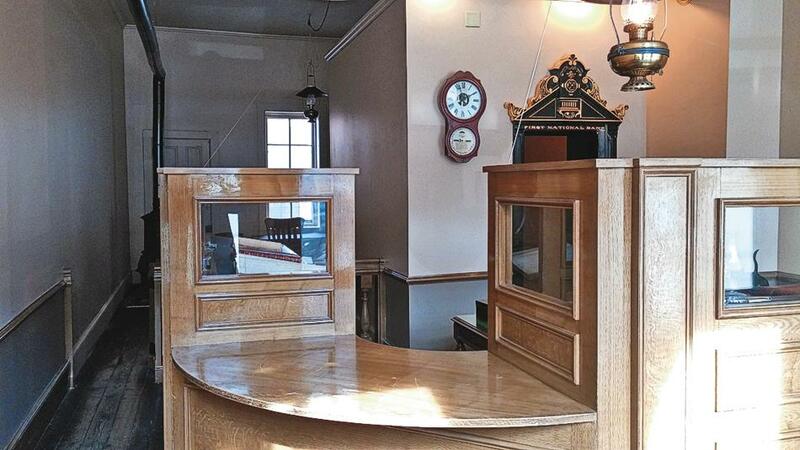 Today, the bank is a museum and centerpiece of Northfield Historical Society’s annual Defeat of Jesse James Days. 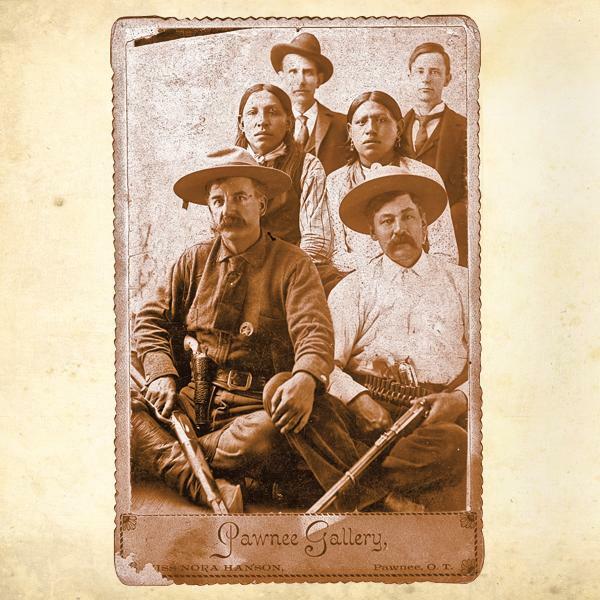 Deputy Marshal Henry Andrew “Heck” Thomas (front, lower left) paused to have his photo taken with his posse in Pawnee, Oklahoma Territory—a rare moment of rest for the highly regarded lawman who served the U.S. Marshals office from 1885 until 1902. After fighting Billy the Kid and his gang in New Mexico, outlaw Jessie Evans (inset photo at left is presumed to be Evans) moved his criminal ways to Texas in 1880, but the Texas Rangers (above) were ready for him and his gang, and Evans’ criminal career ended in the state prison. 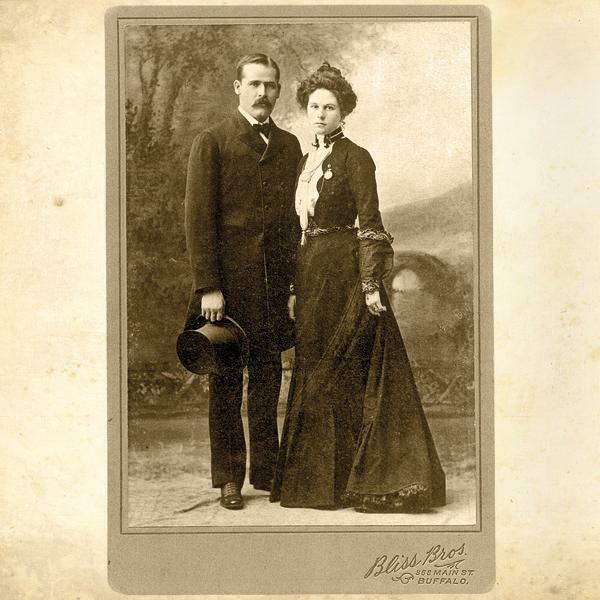 Harry Longbaugh, aka The Sundance Kid, and his girlfriend, Etta Place, posed in New York City before Longbaugh headed to Bolivia with his legendary partner Butch Cassidy. The Apache Kid was cavalry scout Al Sieber’s protégé before the White Mountain Apache avenged his father’s murder in 1887 and began his reign of terror across the Southwest. These members of the Wild Bunch enjoyed their 1901 holiday in the Texas cowtown, a comfortable respite from their wilderness hideouts in the canyon lands of southeastern Utah (next slide). The Wortley Hotel (above) in Lincoln, New Mexico, welcomes visitors on the outlaw trail of Billy the Kid (top left) and Pat Garrett (bottom left), who was once its proprietor. The rebuilt Old Style Saloon #10, an homage to Deadwood’s Wild West past, welcomes visitors on the trail of gunfighter Wild Bill Hickok (inset). The Apache Kid and five members of his gang were en route to Yuma Territorial Prison on November 1, 1889, when they overpowered Gila County Sheriff Glenn Reynolds and his guards, killing the sheriff and all but one of his men. Silver City, New Mexico True West's #4 True Western Town. 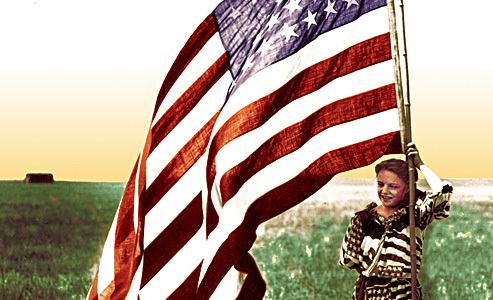 Fireworks & Festivities A history of summertime pioneer traditions, plus historic events out West you can enjoy today. Tracking the Great Bear From Dubois, Wyoming, to Jasper, Alberta.